Hang out. Have a coffee. Hold an event. Our space is your space. Decreasing car ownership (auto coverage is their main business). Millennials are far more likely to forego car ownership, even indefinitely, so State Farm realized they could risk losing connection with an entire generation. Starting up: entrepreneurship is more mainstream for this generation (and it’s more adaptive to the Knowledge Economy). Planning, strategy and awareness of financial decisions. People helping people; food drives, etc. Creativity: art shows and classes. Diversity: this is a creative class play, which is very “Knowledge Economy”! Next Door’s Facebook Page is basic and features relatively little interaction, but it offers relevant content and feels authentic. Likewise the Twitter stream isn’t very interactive, but its content is on message. No insurance is sold at Next Door Chicago. Although I have no inside information on Next Door, I deduce that this social business initiative is key to product development. 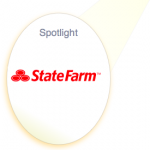 Ultimately, State Farm wants to be relevant to this generation, so they are doing the right thing in creating opportunities to relate—in many levels. 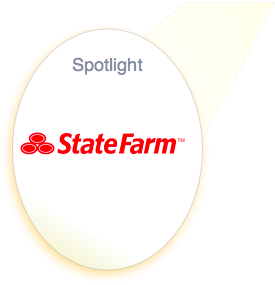 State Farm is one of our reference clients, we enable agent/customer social networking through Hearsay Social to connect to this social-media savvy generation. Here is a article on insurancetech.com that gives you some insight : http://www.insurancetech.com/management-strategies/qa-state-farm-enables-agentcustomer-soci/229402885. One of the complexities is doing this in an industry that is highly regulated (FINRA) so we provide the plumbing to make sure all regulations are met.